I'd recently been talking to a friend about whether or not our boys would eat soup. They both seem to handle to spoon well for cereal with minor spills so it seemed logical. 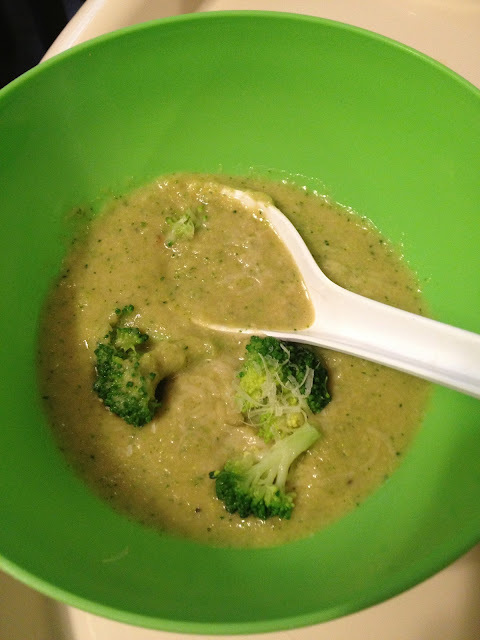 So when I saw this recipe on Pinterest, I thought it sounded tasty and it looked pretty easy to make. I did my best to follow the recipe with minor substitutions (vegetable stock in place of chicken) and just an addition of a little lemon juice. While the recipe is clearly very good for you. I felt like it was lacking in the taste department. So if I don't like something, then it's hard to make the boy eat it. He was pretty excited about the cool spoon and the grated cheese on top but he wasn't feeling it either. 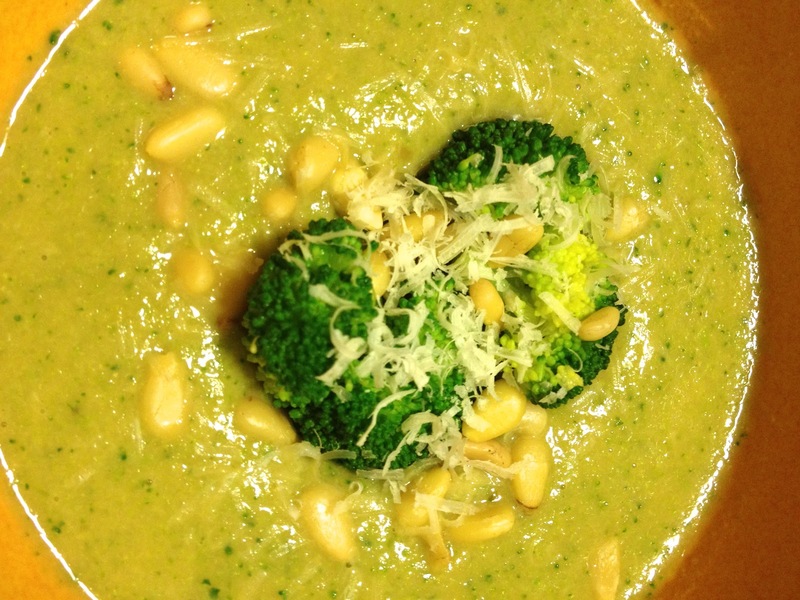 What's your favorite broccoli soup? Thanks! This looks delicious. I'll add it to next week's shopping list!